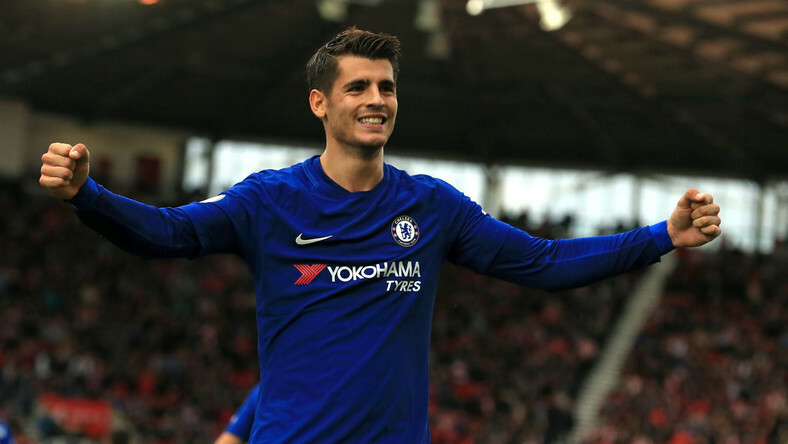 What's your take on the comments made by Alvaro Morata? As Chelsea head to Italy to take on Roma this week in the Champions League, Alvaro Morata has given an interview to La Gazzetta Dello Sport stating that if he had a choice, he would have never left Juventus and Italy. As you can imagine the UK press and media have jumped all over this and are trying to do what they do best, create issues for the us before we face Roma in a massive Champions League tie on Wednesday. It really pisses me off the way our press like to take all the English clubs to task rather than get behind them. We need the English sides to do well to ensure we keep the same quota in the competition season in, season out and we need to supportive of each of their efforts. I know some people will not agree with me when it comes to the likes of Tottenham and Liverpool (understandably so) but from the nations perspective, we must all do well. "Italy for a Spaniard is the best country to live. You have everything: beauty, history, art, cooking, fashion. I would never have left Italy and Juve. The disappointment [of leaving Juventus] was enormous, I found myself back to the starting point. They [Real Madrid] treated me like the guy I was before the two Italian seasons. I live in downtown Chelsea. London fascinates me with its multi-ethnicity, the coexistence of cultures and religions, but I do not see myself living here for very long. Too much, too much stress, too many metropolises. I came here because there was a coach like Antonio Conte. We started talking about my eventual transfer last spring and finally I really landed in London" - Source: Sky Sports. When in Italy, Morata settled down with his now Wife and everything was working out well for him off the pitch just as it was on it. He was making a real impact and stood out with his performances for Juventus especially in the Champions League with his goals/performances against the likes of Manchester City and Bayern Munich being the highlights. However, as he said, everything fell apart when Real Madrid activated his buy-back clause to take him back to Madrid where his career came to a halt once again. When good players play together, they don’t need to train two years. When we are on the pitch, we can see the movements he does and his technical ability is good too. So, with Alvaro – and, before, with Diego as well – it’s good. 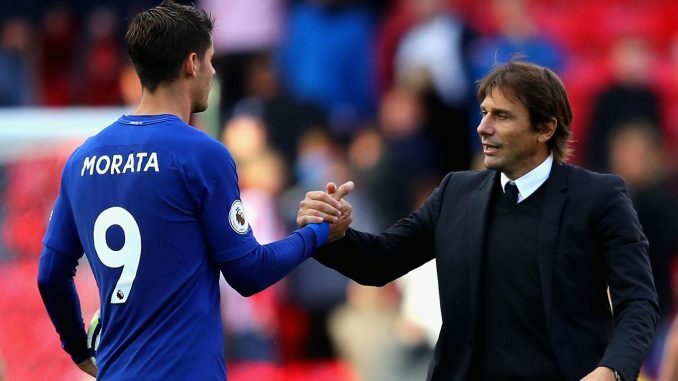 I try to have a good connection with my striker because, in my position, it’s good to have this player who is like a target man, so I need a good connection with him.” - Source: Daily Star. "I am happy with his commitment and performances. Tomorrow he has another opportunity to play. "For me, it’s not important for the striker to score. It’s important for the team that he plays well." - Source: London Evening Standard. 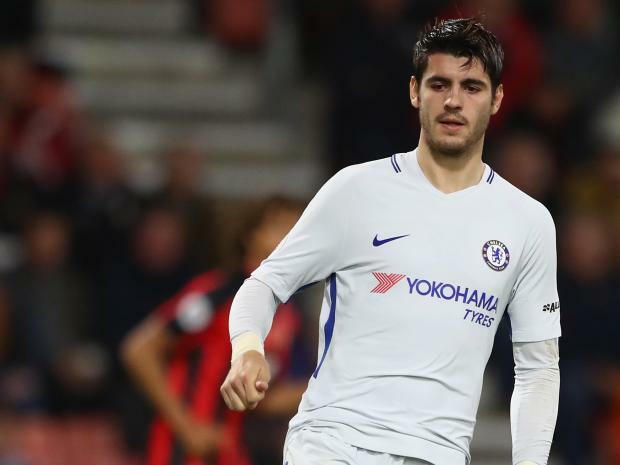 But for Asmir Begovic, Morata would have struck on Saturday night having turned onto his left foot and blasted the ball goal wards. I see no problem with any aspect of his performances of late and we also have to remember that he has only recently come back from his muscle injury which would play on your mind when you first start playing afterwards. What do you people think of his comments about Italy and the time he will look to spend in London? Do you think they have been taken out of context at this early stage in his Chelsea career and if you see a potential problem? I said back in the summer that out of Romelu Lukaku and Alvaro Morata I would have chosen the Spaniard all day long because of his overall game. He is of the same mould as Drogba and Diego Costa in that he can offer every aspect of playing as the main striker whereas Lukaku does not. If he is stressed by London, I am sure the club would do everything they could to find a new place to live out near the training ground in Cobham to which, anyone who lives nearby will know is totally different being much more relaxed. I really see no issue here. Do you?